This is the best migraine soup I know to build strength and resilience. 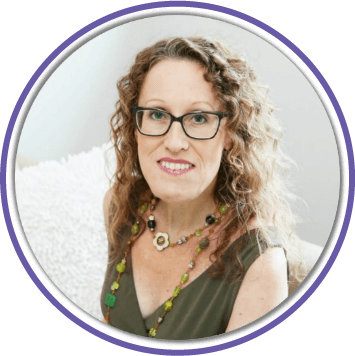 When I changed my diet for three weeks to meet the dietary restrictions for a breath test - my life changed. And, it was a big enough difference to make me try something new. So when I say I had to try something new, I meant pureed food along the lines of the FODMAP diet. 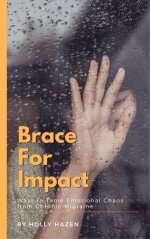 My doctor has had amazing results with recovery from chronic illness, and she has me experimenting with these recipes. I can't tell you how much better I feel if I eat this twice a day. Let's face it ... our bodies need protein, and after a long migraine mine can get pretty depleted. 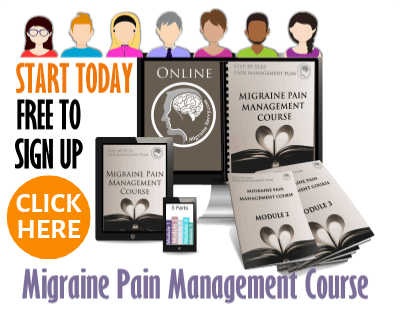 If I stick to the plan, I experience a reduction in my migraine frequency each month. After over 20 years of suffering with them, it is a very welcome change. I just have to share my secret recipe with you. Well, Doctor Lee's combined with my testing. I have to let you know that I was very reluctant at first to use this pureed migraine soup recipe from my doctor. It did not sound edible, but as I have said - the results were very noticeable. A substantial increase in energy levels right away and a slight decrease in migraine frequency over time. Yahoo! 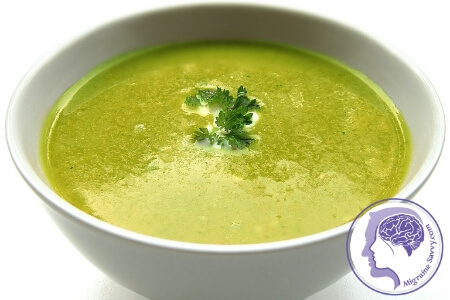 I have now been using this healing migraine soup recipe for about three years, just to let you know, it has not been an overnight success! I would also recommend making your own stock from organic chicken. Oh and just FYI - don't use onions, spring onions or leeks. I have been doing Dr. Lee's pureed food idea while recovering from chronic fatigue syndrome (13 years now). But this has also helped reduce my migraines too, along with some very wonderful migraine supplements. Let me tell you why I think this worked. First of all the food just had less sugars. Yes even some vegetables have a lower Glycemic Index and less sugars than others. I will write more about that later. I would often get too tired to chew! So this is how I came up with migraine soup, or migraine recovery soup as I like to call it. By processing the cooked food through a food processor it mimics your own mastication, so it makes the food easy to digest. However, you still must chew your food to start the enzymes in your mouth. 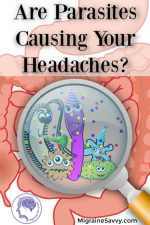 Read more in this article called digestion problems. 1. If you are making the large recipe, to have leftovers to freeze, you will need to use 2 pots. I do the chicken in using the glass steamers above, and just steam the vegetables in another saucepan. Or if you have a larger pot to accommodate it all, use that. 2. Set up your larger steaming pot and put enough water in the bottom to steam. I use 1.25 liters. The idea is to catch the juices so whatever you can rig up. See my picture above. Put the smaller container on top and fill with the ingredients. A wok with sticks or a metal steamer to hold a plate in place is good too. 3. Put your chicken thighs into the small casserole. 4. Measure out the potato, kale and zucchini and put into the top casserole dish. 5. Boil at a low - medium simmer for about an one hour or so. Check that the chicken is cooked by cutting it with a knife. A shorter time is required for a single portion and sometimes I do two hours for the large batch. Use your discretion here. 6. When it's cooked, let it all cool down. When it is all cooled (about one hour at room temperature) you can place the cooked contents into your blender. I sometimes use a food processor and add a little water or organic stock if it looks too thick. 7. You can eat it while it is still warm, reheat it, or divide it up into meal size portions and put it in the fridge or freezer. The individual flavors will be more noticeable, so taste it first before adding additional salt. This is much better then the other recipes I have supplied. It is gentle enough to eat for breakfast. Yes - breakfast and lunch. The other recipes are stronger flavors and are better suited to dinner. I know this idea may take a lot of getting used to, but, you can try it for a week and feel the difference for yourself. Worst case scenario, if your taste buds hate it, try and add more salt or your favorite seasonings. But trust me, your body will love the extra nutrients. If you just can't eat it, then make yourself some yummy organic chicken soup broth and sip on that when you can, during the whole migraine episode. It will help re-balance your electrolytes. Sipping on chicken broth helps rebalance your electrolytes. 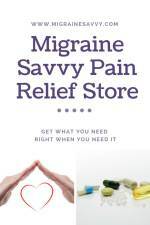 This is especially important for migraine sufferers. Just a reminder that this is suitable for freezing. I make heaps, and sometimes after a long migraine blur, I eat it twice a day and I feel stronger, faster. 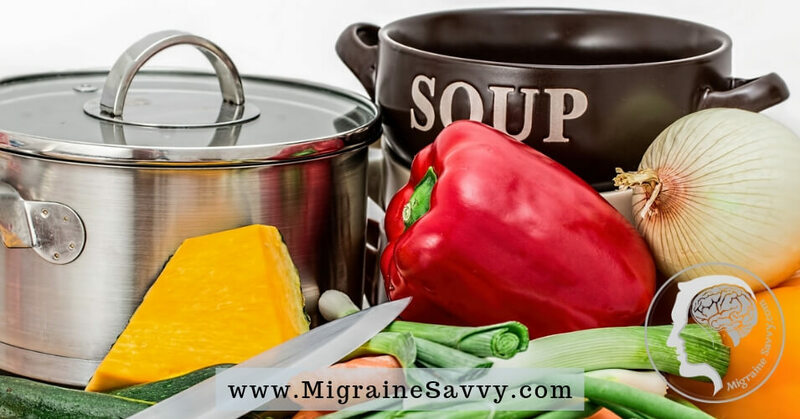 What is your favorite migraine soup to sip on whilst you are enduring an attack? Perhaps you can't eat a thing so soup is out of the question. Most times I find it helps my nausea and I find it extremely helpful with recovering from a long attack too. 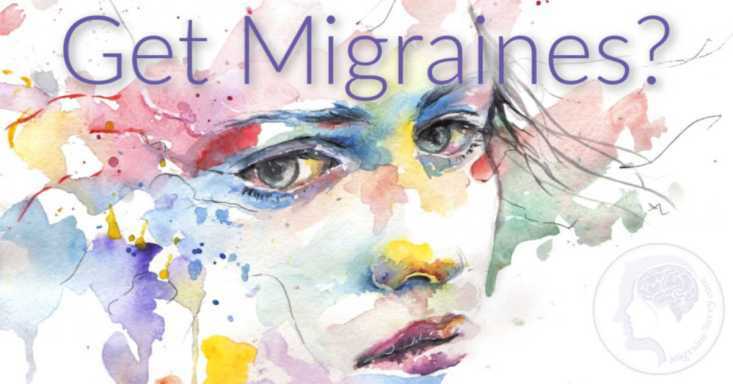 Click here to share your migraine recipes.